In our ever-increasing efforts to offer higher quality products and after months of discussion, we’re offering Coca Cola from the bottle at Pizzeria Seven Twelve. A simple matter of ingredients is at the heart of this decision. 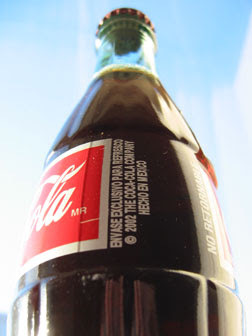 Coke from the bottle is made in Mexico and sweetened with cane sugar. Coke made in the US is sweetened with high fructose corn syrup, a derivative of corn which the US government subsidizes, which enables giant US food producers to cash in while offering sub-standard flavor. Now for us it’s not so much a political issue as it is a taste issue. In essence, Coca Cola from the bottle tastes better.